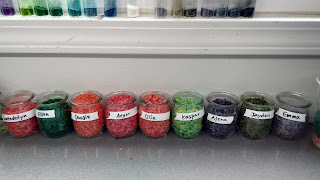 The Maple group focused on mixing colours as they have been doing for three weeks. They never seem to tire of it and are showing the kind of discipline and care a good scientist might. And then later in the week, we tried to take the colour out of from spring flowers. 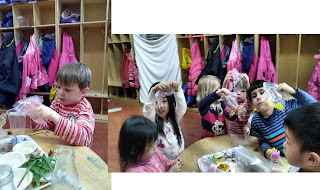 - The children choose a kind of flower, picked some petals and placed them into ziplock bag with some water. Then they crushed the petals with their fingers to take the colour out from the flowers. 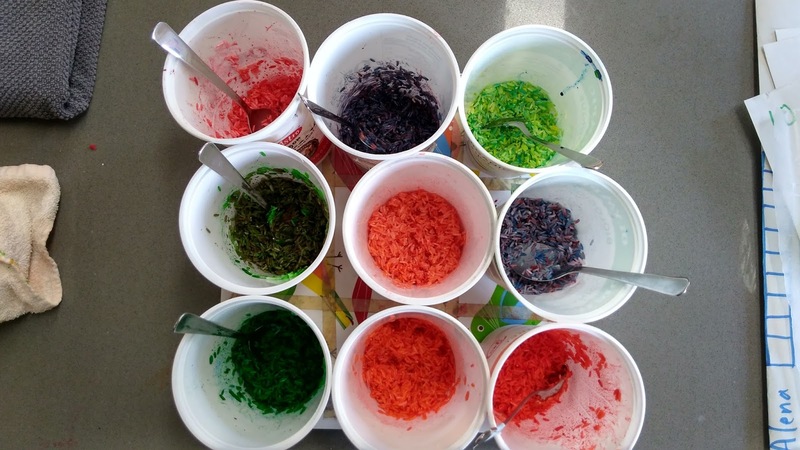 Later on we made own coloured rice! 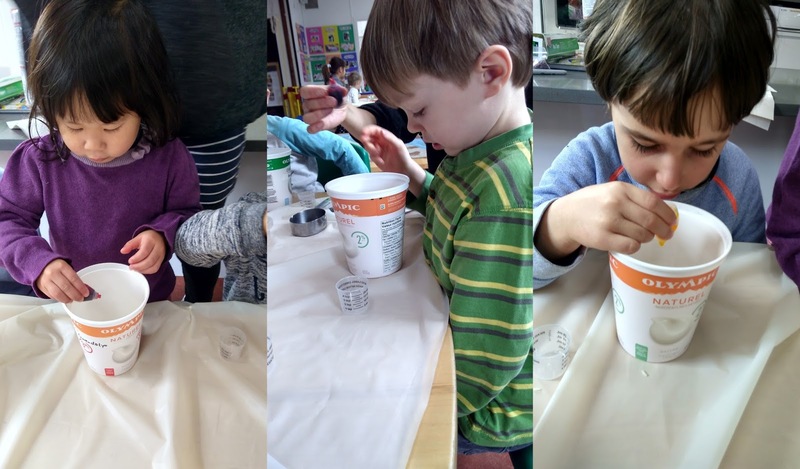 Each child measured ½ cup of long white rice and put some vinegar in it. And then they chose one colour of food colouring ( put about 6 drops into their container. ). They started to stir and mix with a spoon. Then a child suggested that another colour be added. 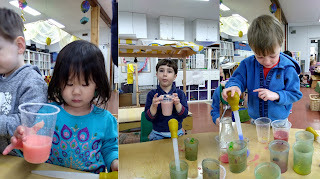 They love to continue to explore how colours mix together and they watch with excitement and commitment to the outcome. Most of the children were able to guess the outcome of two colours being mixed together. They used scientific thinking to observe, predict and compare, and they experimented with cause and effect. ‘What will happen if I mix all three primary colours together?’ ‘How much yellow do you need to add to make green?’ ‘Can I make the exact same colour twice?’ Only few drops of food colouring will change their colour. None of the children had exactly the same colour and all were beautiful and vibrant. I have displayed them on by the window. 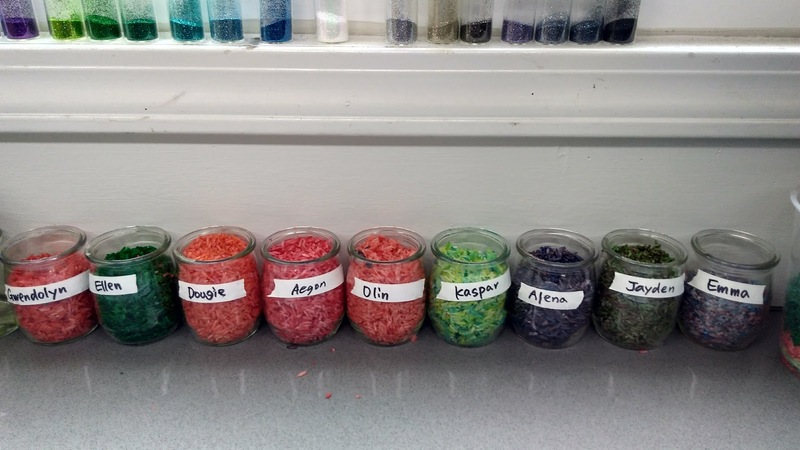 Everyone were so proud of making their own coloured rice they could later use in their play. 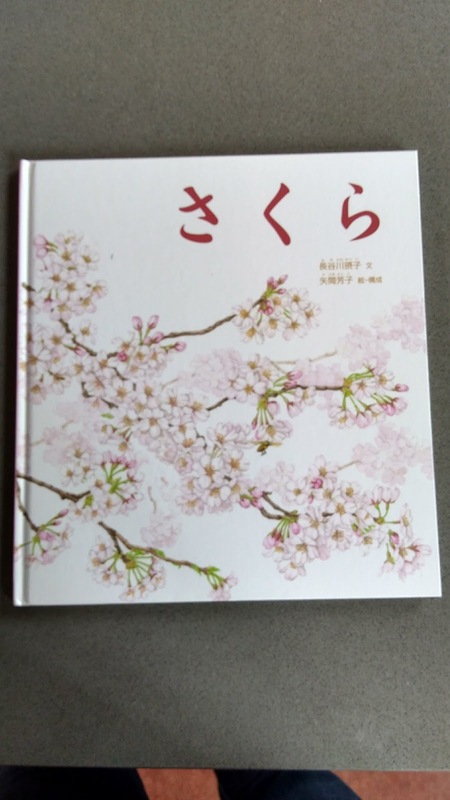 During my Japan trip, I got a book called " SAKURA- (cherry blossom in Japanese)." It is written by a Japanese author. I translated and read it to the children. The children were given 4 colours: red, white, light green and brown. We have been learning about mixing colours to change what we see. 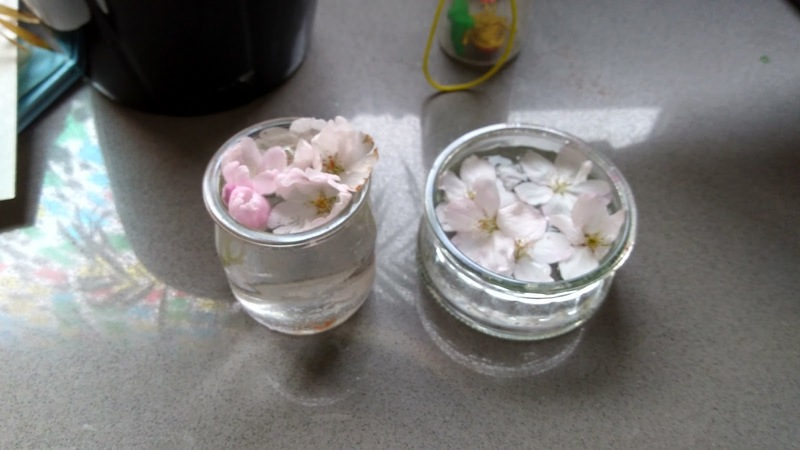 We took a close look at the some cherry blossoms that I picked up from the ground on my way to work this morning. We noticed there are many different pink colours. Some are much deeper pink than others. They all started to draw their own ways. 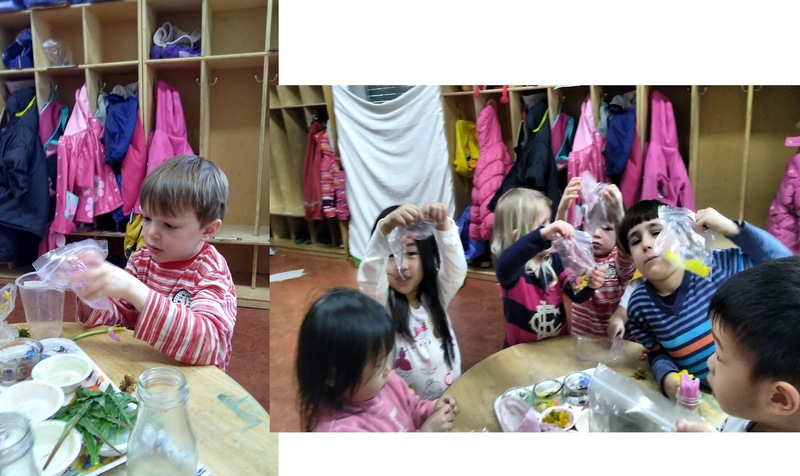 Some children enjoyed mixing red and white. It was a very beautiful gradation of red colour. Some children drew a few branches and very beautiful cherry blossoms on their creations. And they I saw some bugs on their drawing that are sharing their tree. Through these experiences the children are learning not just about colour mixing but about the blossom's connection to branches, the sky and the ground. In this way they are subtly learning about the interconnection of the planet.